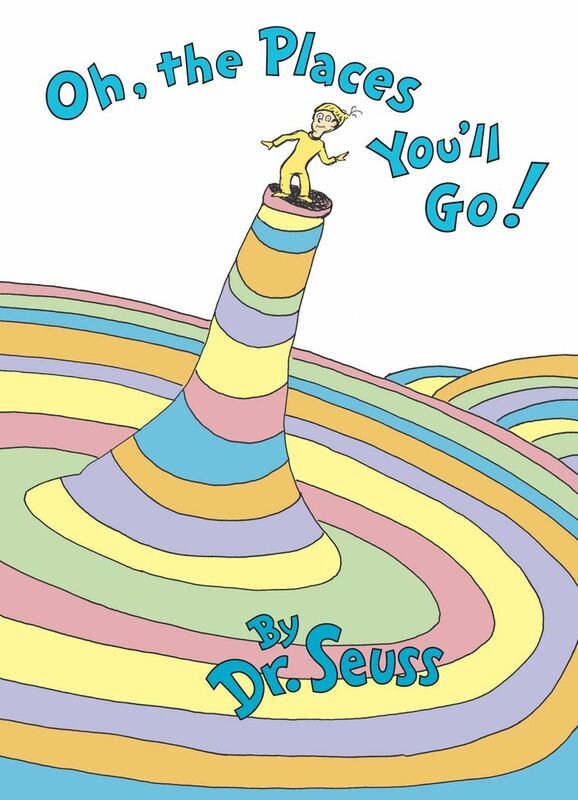 A few years ago, someone gave Salem a cloth-bound, slip-cased edition of Dr. Seuss’ Oh, the Places You’ll Go! I had his preschool teacher sign it, and I plan to have all of his teachers inscribe the inside cover from now until he graduates from high school. Wouldn’t that be a special keepsake? Looks like I’m going to need an extra copy. 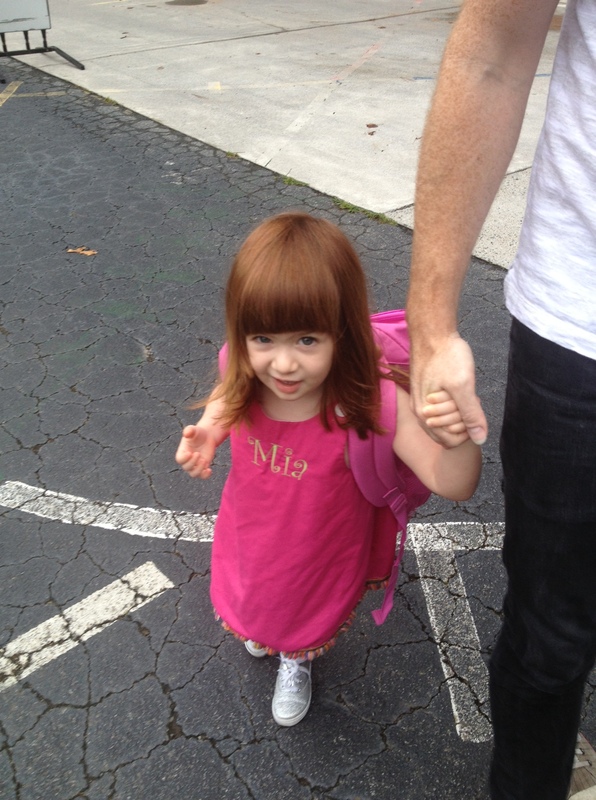 Today is Mia’s first day of preschool. Before I could even hang up her Disney Princess backpack, she said, “Bye, Mom. Thanks for coming!” Translation: “Get lost, Mom. You’re messing up my game.” This image captures Mia’s truest self– confident, social, independent… a party looking for a place to happen. If there were any First Day Jitters to speak of, they were felt only by Mom and Dad. 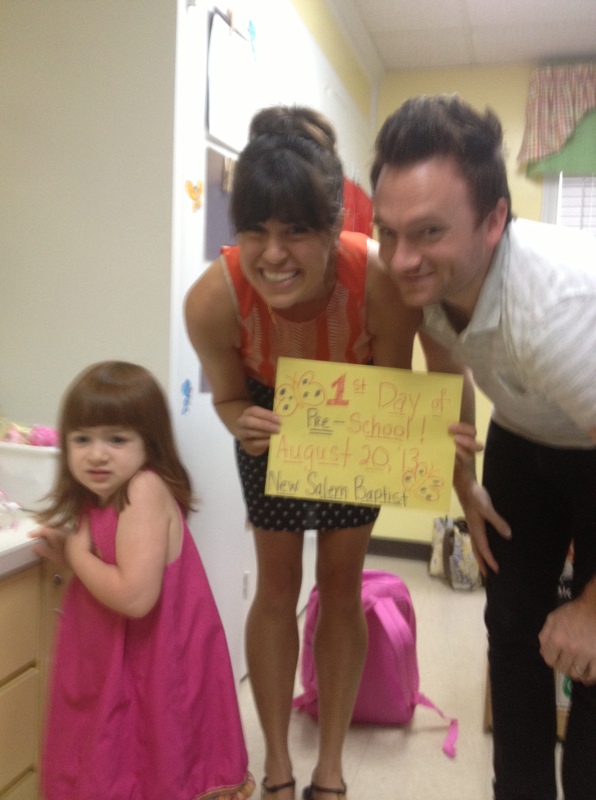 I had high hopes of getting a Pinterest-worthy-first-day-of-preschool photo, but clearly it was an epic fail. Then again, we have never been a Pinterest-worthy family, and I have to admit… that’s one of the things I love most about us. Happy first day of school, my darling Mia. I can’t wait to see all the places you’ll go! Crying here! She is an adventure!! “Bye Mom, thanks for coming!” what an awesome way to show you the great job you have done raising an independent, fearless lady! Oh thanks. That means the world! I want her to be fearless and I love her confidence. Thanks for commenting.